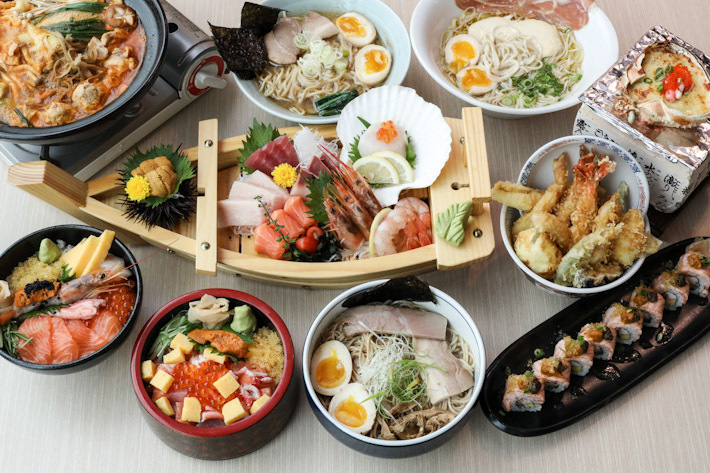 With such a stellar array of Japanese eats at a fairly reasonable price point, this larger than life Japanese Restaurant is a sure-fire hit among foodies everywhere. Here’s the cherry on top: simply quote ‘ladyironchef’ to enjoy a 20% off during dinner with a minimum spending of S$30 in a single receipt. This offer is valid from now until 30 November 2017. 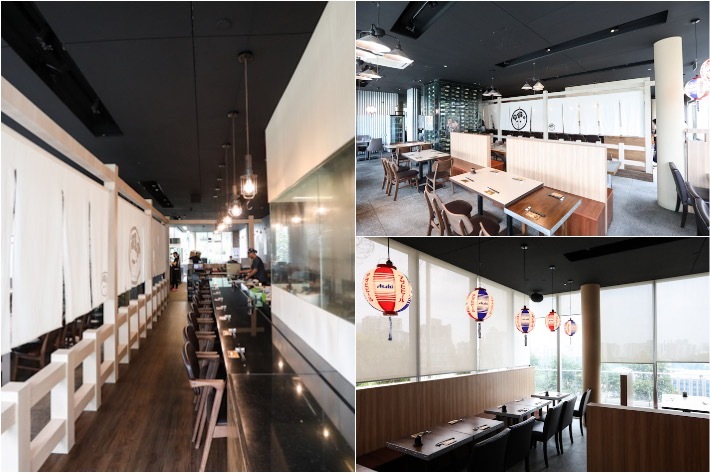 Located at the rooftop garden of Orchard Central, experience the pleasures of traditional Japanese cuisine presented to you in a fresh and exciting way. With 5 different dining concepts including a separate sake bar under one roof, it really does not matter what your heart desires because you can have them all in one seating. 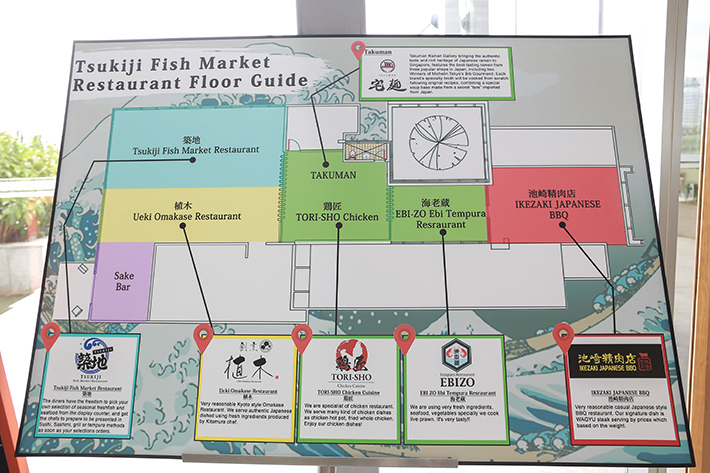 At the Tsukiji Fish Market Restaurant, diners have the freedom to choose from a wide selection of seasonal fish and seafood—prepared in the form of maki rolls, sushi, sashimi and even donburi—most of which are imported directly from Tsukiji Fish Market in Tokyo twice a week! Let’s move on to the other three separate concepts to look forward to. Ebi-Zo Ebi Tempura Restaurant specialises in tempura that is made only using fresh ingredients. Moving on, as its name suggests, Tori-Sho Chicken Cuisine presents diners with various chicken dishes from fried chicken to chicken hot pot. Finally, Takumen Ramen Gallery centralises the most popular and mouth-watering ramen from all over Japan in one convenient location. From the classic chicken and pork based ramen to the more experimental versions featuring Italian flavours, there is bound to be something for all palates. If there is one dish worth getting at the Tsukiji Fish Market Restaurant, it is the Tsukiji Special Bara Chirashi Sushi Don (S$19.80++)—a cornucopia of salmon, swordfish, tuna, salmon roe, and uni sashimi, this is an affordable option and you get a generous bowl of fresh fish and premium rice! To turn it up a notch, the Hokkaido Don (S$29.80++) is truly worth the splurge with uni, jumbo prawn, scallop, salmon, salmon roe and crab. Or if you would rather do away with the carbs and head straight for the good stuff, the 7 Kinds Of Tsukiji Sashimi On A Ship (S$39.80++) comes elegantly presented with all your favourites. The menu offerings from Tori-Sho Ramen features three sumptuous ramen bowls with unique flavour characteristics. First, the Bigiya Ramen (S$16.80++) which comprises a springy special whole wheat noodle that swims in a rich, tasty stock made with fish and chicken, a marinated egg and two thick, tender slices of chashu. The Sakuta-ya Ramen (S$16.80++) is an authentic home-style ramen that boasts pork and chicken as its main flavour components. The result is a robust and flavourful soup that is good enough to gulp down. The Due Italian (S$16.80++) is made using a special noodle that is blended with rich cheese. This innovative bowl comes with two balls of mozzarella cheese, a whole marinated egg, as well a thin sheet of prosciutto. Mix in the cheese together with the delicious golden chicken broth and prepare your taste buds for something truly amazing. From the chicken-focused Tori-Sho Chicken Cuisine comes the Spicy Miso Chicken SUMO Hot Pot (S$28.80++), that although bears a similar resemblance to the iconic Korean army stew, boasts something entirely different. It arrived at our table boiling hot and what you can expect to find in this pot of goodies are chicken, meatballs, assorted vegetable and mushroom varieties and a savoury spiced miso broth. 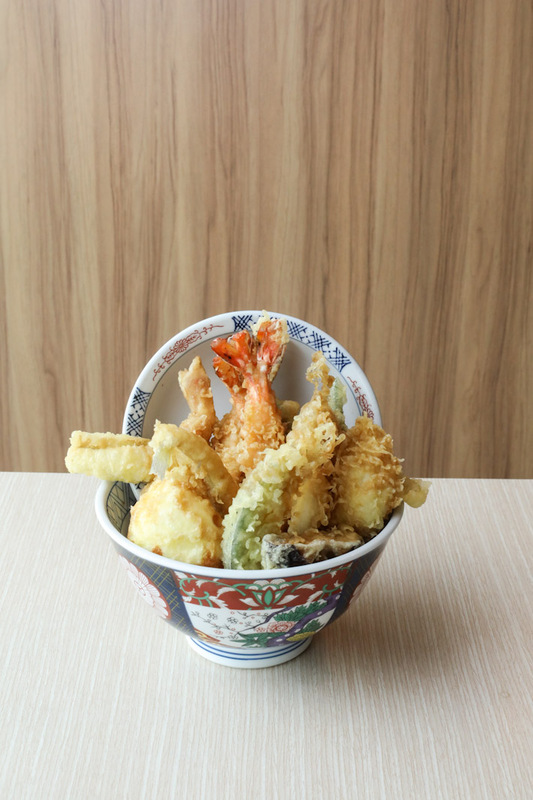 If you love tempura or basically anything fried then Ebi-Zo Ebi Tempura Restaurant has got you covered. We had their highly raved Ebi-Zo Special Tendon (S$20.80++) which came with fresh ebi, sea eel, snow crab leg, squid, a tempura egg or onsen egg, and assorted vegetables. Although it may not take the cake in terms of being the best tendon around, it sure hits the spot. The Salmon & Sea Urchin Truffle Roll (S$22.80++) is probably one of the most luxurious rolls on their menu. It comes with uni that rests atop the aburi salmon. The gorgeous roll is then given a generous drizzle of truffle oil for that extra hit of umami. Perhaps one of the most savoury dishes on the menu is the Queen Crab Miso Rice Grilled In The Shell (S$9.80++). Fresh crab meat is mixed together with a mixture of miso-infused rice, topped with cheese and grilled over charcoal. Each mouthful is a hit of savoury and salty with an assertive, almost milky-like richness from the cheese providing a nice balance to it. As mentioned earlier, quote ‘ladyironchef’ to enjoy a 20% off during dinner with a minimum spending of S$30 in a single receipt. This offer is valid from now until 30 November 2017.